I love cool and funky products, especially when they involve babies. In my opinion there is nothing cuter than a baby in a rock and roll t shirt or something equally funky, though I draw the line at babies in trainers. When it comes to teething all babies love a good dribble, that is where you need some dribble bibs, and if possible, something that co-ordinates with baby's outfit and looks good too. 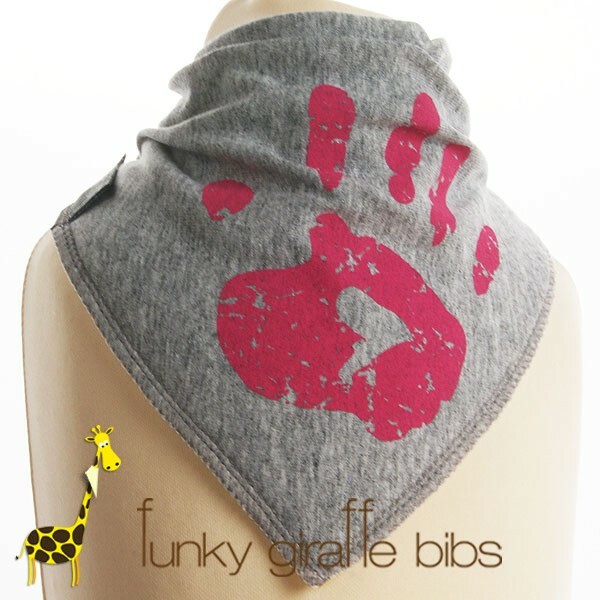 That is where Funky Giraffe Bibs comes in! Funky Giraffes is a small, green (not literally), ethical company who designs fabulously, sources ethically, and sells considerately their own bibs and baby products. "As a mum, I know the importance of quality products for your child and the fact you want your child to look their best. That is why I wanted to produce the nicest, comfiest bibs I could, to give my and your child their own individual look. I also know the importance of good value. So I started on this idea in 2009 using my experience in the fashion industry after my own little fashionista came along." It's a bit hard to see the detail on the bib in the picture but it appears to be a sort of knight's shield design. It is really easy to get baby in and out of and definitely protects his clothes. I would say it is of higher quality than most other similar bibs on the market in this style, I think the difference is the type of material. It also washes well or you can just rinse it out or give it a wipe down after each meal. Also surprisingly he didn't struggle to get out of it like he does with other bibs so he must have liked it. Crucially it was easy to put on, so many bibs aren't, especially after they have been washed and every meal time feels like a battle. These are made from nice soft material so went on very easily. 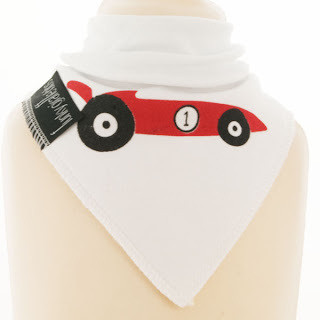 Now onto the bandana style dribble bibs, here are some pics! 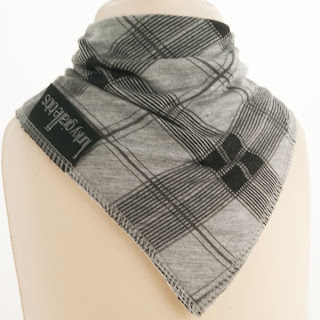 The material is a lovely quality and is 100% cotton. On the reverse of the bib is a lovely fleecy material that I wasn't expecting, it makes the bib sit really cosily against baby's skin. There are also two poppers at the back of bib, I think these are to adjust the sizes although you can fasten both poppers to make the bib extra secure. The bibs were really easy to put on a dribbly baby and very absorbent. I could easily let my baby dribble into the same bib all day and would not need to change the bib. I don't think these are meant to be used at mealtimes, though I have to admit I sometimes do use them at those times as I love them so much! Here are some pictures of my baby in the bibs! 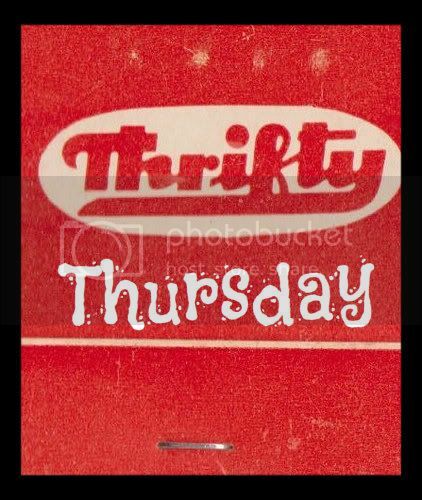 At the moment there is a deal for four bibs for £8.60 which is pretty good value in my opinion. New designs are always coming out on the website (although there are loads to choose from already) so I am definitely going to be adding some more to my collection in the near future. I think the bibs work best when co-ordinated with an outfit colour wise, so keep this in mind when you order.